During the past 6 months, I’ve incorporated the Neo II RotoLight into my micro stacking of flower parts. 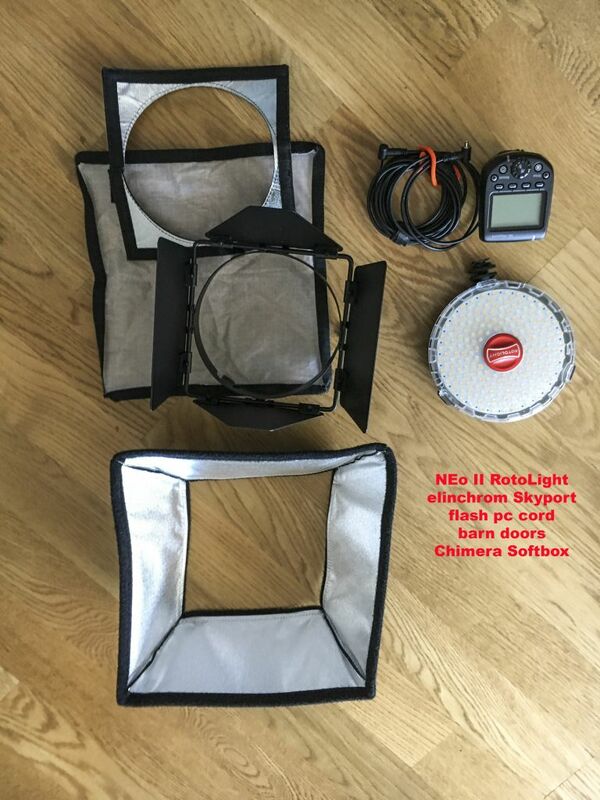 Due to it’s high speed sync flash with zero recycle time coupled with it’s continuous LED light (for precision focus) optional battery power or the included universal power adapter I’ve been able to work in studio or other locations. 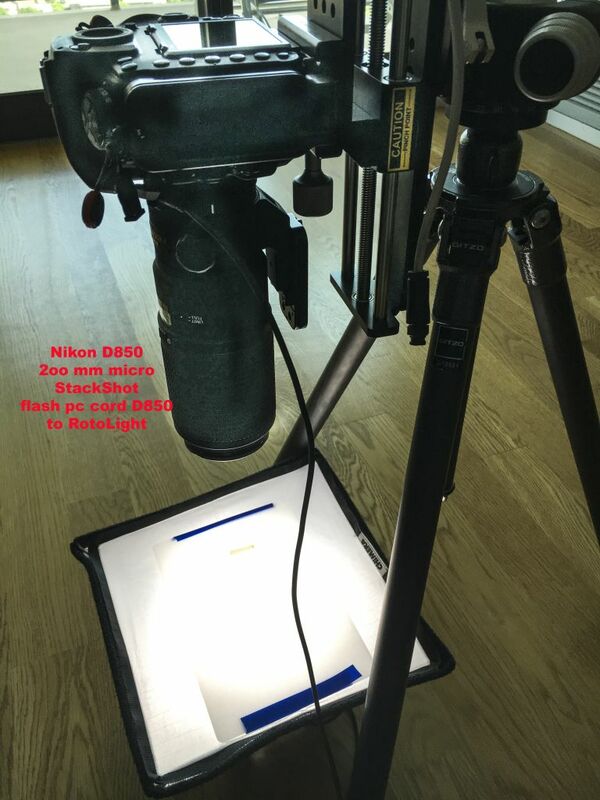 The set-up that works for me: The optional barn doors and Chimera Soft-box, opaque white diffuser or sometimes tracing paper to support a microscope slide or bare specimen, a pc flash cord connects to my DSLR from the Rotolight. 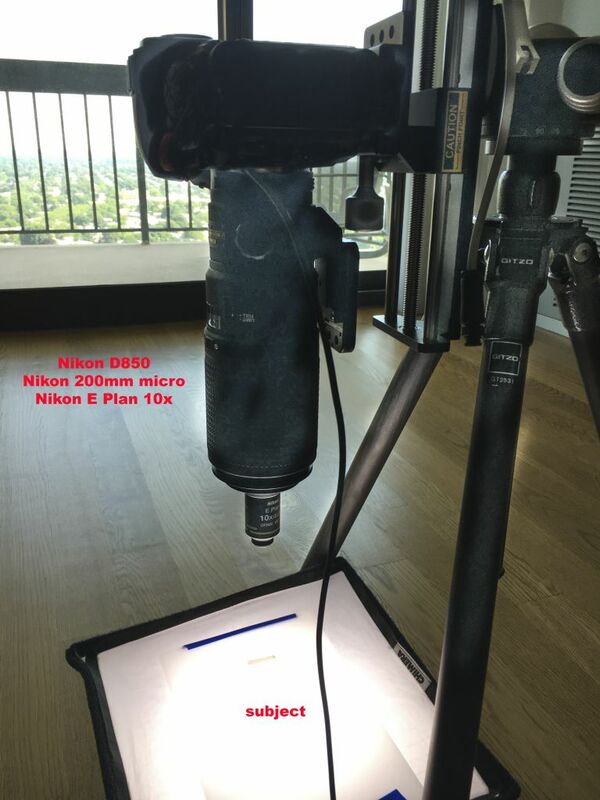 An optional Elinchrom ‘Skyport’ is available to adjust the strength of the LED or work directly off the hot shoe to have total remote control over the Neo II. Not really necessary in the study with the supplied universal power adapter but could be of use in the field. I’ve attached a series of JPG’s of the set-up I use most frequently. Thanks for showing us that. I'm curious why you don't mount the lens on the rail, instead of the camera. It looks like your setup provides a lever for environmental vibrations. Since stackShot is setup for landscape mode where I usually use it with other lenses and the lens foot is portrait I find that it works just fine in the vertical, horizontal would be another story. I'm not having any issues with this even in burst mode. I'm also fortunate that my setup is on a very solid concrete floor, but it's a very good point that you brought up and if I go to a higher power objective, I'm pretty sure I'll be rotating the mount to accommodate the lens foot. There is actually no need to rotate the mount. Arca-compatible adapters to rotate the mount by 90 degrees are available for that, for example eBay item 183316101265 or search for "Arca nodal rail". For this use, the best adapters are those with a fixed 90 degree angle between plate and clamp (so that you don't need to worry about rotating the clamp by exactly 90 degrees). Also, for maximum stiffness use the portion of the rail immediately underneath the clamp. I have everything running through the camera and it's directly connected to my desktop & remote software. The leverage didn't cause any problems for me as to vibrations probably because I was only using a 10x objective, floor is concrete and very fortunately, I was able to get a successful image.